Scanning Near-field Optical Microscopy (SNOM) – optical properties beyond diffraction limit! Effect of TERS (Tip-Enhanced Raman Scattering). 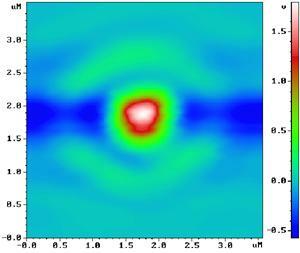 Raman signal becomes several orders of magnitude stronger. 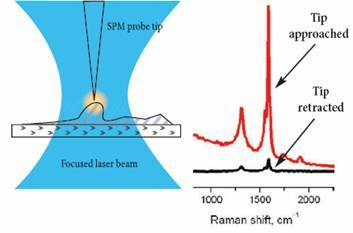 Moreover it is confined to the small area around the SPM tip, thus spatial resolution of Raman spectroscopy and Raman imaging occurs tens of nanometers. Compare to about 200 nm (diffraction limit for visible wavelengths). 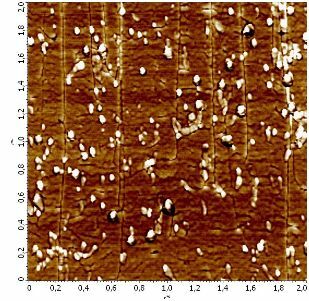 Nanotubes in Raman. Left – confocal Raman image (diffraction-limited). Right – TERS image. TERS imaging provides almost the same resolution as SPM one: branching points of carbon nanotube bundle are clearly seen on both AFM (upper) and TERS (lower) images. 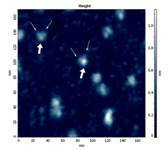 Image courtesy of Prof. R. Zenobi (ETH Zurich, Switzerland), Dr. G. Hoffman, Dr. J. Loos, (TUE, the Netherlands), and Dr. P. Dorojkin (NT-MDT). 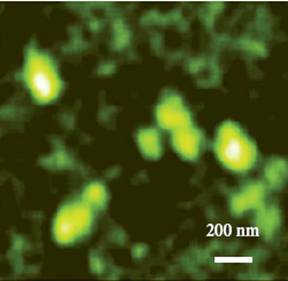 Images obtained with the NanoLaboratory NTEGRA Spectra. Cross-section of multi-wall carbon nanotube network embedded in polymer matrix (2.0x2.0 um). 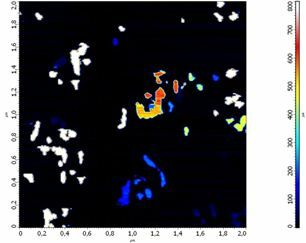 Left – phase image, shows local differences in elasticity. Right – spreading resistance image, shows local differences in electrical conductivity. 3D model of the conductive nanotube network within polymer matrix, as reconstructed from series of 22 spreading resistance images. Dimensions of reconstructed volume 2.0x2.0x0.3 um, distance between individual layers (2D images) - 12 nm. 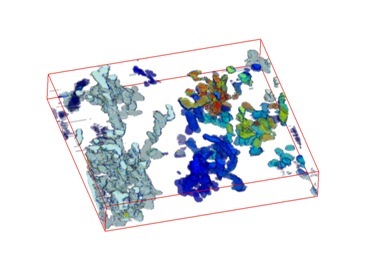 What is important for MFM - Magnetic Force Microscopy?